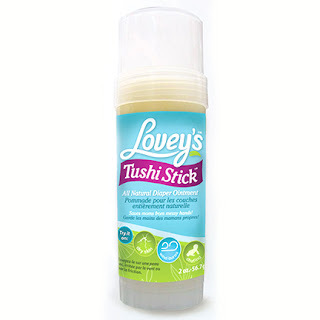 Took home a bottle of Lovey's Tushi Wash Spray last week to try it out on our daughter and both my wife and I agree: it's a great addition to our cloth diaper system. We keep the bottle at our diaper changing area and use it in tandem with a damp cloth. It goes on easy and wipes off in a snap. And we found it most practical in the diaper bag when we're on the go. A quick spray and wipe and it's all clean and ready for a new diaper; save on disposable wipes and no need to find water source for you cloths. 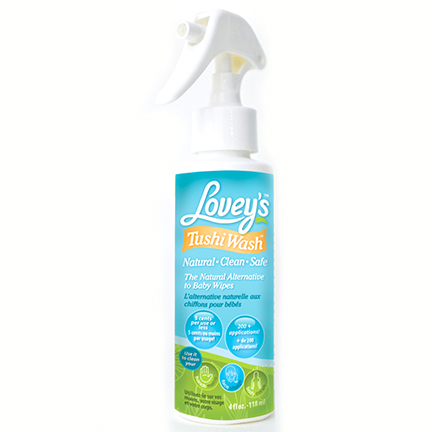 Lovey's claims to need 4-5 sprays but found most of the time we could do it with less. Great alternative to chemical based disposable wipes and welcome addition to our cloth diapering system and cotton/bamboo wipes. For external us only, do not apply to broken skin. 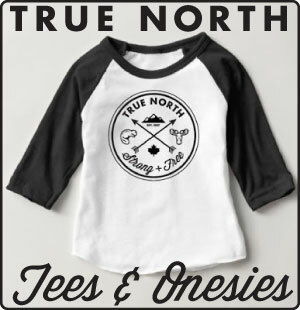 Wipingly available at Hip Baby.